Earth-Moon-Earth, also known as moon bounce, is a radio communications technique which relies on the propagation of radio waves from an earth-based transmitter directed via reflection from the surface of the moon back to an earth-based receiver. The use of the Moon as a passive communications satellite was proposed by Mr. W.J. Bray of the British General Post Office in 1940. It was calculated that with the available microwave transmission powers and low noise receivers, it would be possible to beam microwave signals up from Earth and reflect off the Moon. It was thought that at least one voice channel would be possible. The “moon bounce” technique was developed by the United States Military in the years after World War II, with the first successful reception of echoes off the Moon being carried out at Fort Monmouth, New Jersey on January 10, 1946 by John H. DeWitt as part of Project Diana. The Communication Moon Relay project that followed led to more practical uses, including a teletype link between the naval base at Pearl Harbor, Hawaii and United States Navy headquarters in Washington, DC. The Moon is typically around 384.400 Kilometers away from Earth. The moon’s Diameter is 3.476 Kilometers. The Moon only takes up 0.52 of one degree out of the full 180 degrees of sky. The fact that the Moon appears larger at moonrise and moonset is only an optical illusion. The Moon rotates around the Earth every 27 days 7 hours 43 minutes. The Moon goes from New Moon to New Moon every 29 days 12 hours 44 minutes. The path loss will wary approximately ±1dB during each month (as range to the Moon changes). 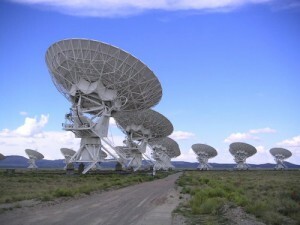 Below about 1000MHz, cosmic noise is the dominant factor and varies with the portion of the galaxy observed. For 2m band it is between 150 to 7000°K. For successful EME contact on 144MHz, sky noise in direction of the Moon has to be less or equal 500°K. It takes approximately 2.52 seconds for a radio wave to travel from Earth to the Moon and back to Earth again. The Phase of the Moon has little to no effect on the EME Signals. Spatial Polarization Loss: The signal loss in dB’s as a result of polarization differences between two stations across the EME signal path. Imagine that you are on the Moon and you have a horizontal beam looking down at the Earth. If one station is on one side of the Earth and another station is on another side of the Earth, the signal polarizations of those stations will not be the same because of the curvature on the Earth. It is this difference of polarizations that will cause a loss of signal strength. This is the Spatial Polarization Loss. If both stations are at the same latitude, then the loss will be just about nothing. Faraday Rotation: The rotation of the polarization of the signal path caused by the earth’s magnetic field. This normally is a great contributor to signal QSB on EME Signals. It is more pronounced on the lower EME Bands. Libration Fading: Fading of EME Signals due to the reflected characteristics of the signal. This is due to the rough surface of the Moon. The Moon actually wabbles in its orbit so when signals are reflected off the Moon, they are reflected across the rough terrain on the moon’s surface causing the reflected signals to be inconsistent. This fading becomes extremely pronounced on the higher EME bands (like 1296MHz and above) and is barely noticeable on the lower bands. Doppler Shift: The frequency offset from the transmitted signal due to velocity factor. The velocity factor is determined by the rate of change in the EME Signal Path Distance. The Earth and Moon are constantly moving, sometimes closer to each other and other times farther away from each other. The greater the change in distance rate, the greater the Doppler Shift will be. Also, the higher the EME Frequency Band is, the greater the Doppler Shift will be also. Another thing to keep in mind is that the Doppler Shift will be higher from the original frequency when the distance becomes closer and the will become lower when the distance becomes farther. Antenna Temperature (Ta): The Noise Temperature of the signal being received from the antenna. This noise comes from not only the main front lobe of the antenna, but also all the minor lobes and rear of the antenna as well. The combined noise of all these sources becomes the total Noise Temperature of the antenna or Antenna Temperature. One example is that the Moon normally runs at a temperature of around 210 degrees Kelvin. If this is all the antenna was seeing, then 210 degrees would be the Antenna Temperature. This becomes a critical parameter when designing a good antenna for EME use. The idea is to design an antenna that will not contribute noise from other directions that will add to degradation of the signal received off the Moon. G/T or (Antenna Gain over System Noise Temperature): This is the Ratio of Antenna Gain over System Noise Temperature. Signal to Noise Ratio is comparable to this ratio and are related. This is also a very important parameter when designing a good EME station. A simple way to describe this is to make the Antenna Gain as high as possible and the Noise figure as low as possible to increase the Signal to Noise Ratio. The higher the G/T is, the better. When looking at the G/T of an antenna by itself, it is the factors of Antenna Temperature, Gain, and the antenna pattern that make up the G/T of an antenna. Declination: The term used to describe the moon’s position relative to the equator of the Earth. If the Declination is minus 8 degrees, then the Moon would be 90 degrees elevation overhead at 8 degrees south latitude on Earth. GHA or Greenwich Hour Angle: The term to describe the moon’s Position in relations to earth’s Longitude. If the moon’s GHA was at 20 degrees, then the Moon would be located directly overhead 20 degrees West Longitude. EME Degradation: Basically, it is the amount of degradation in dB’s due to the Sky Temperature, moon’s Distance and Declination. Typically from 0dB’s to -2.5dB’s maximum. Most would agree that the smallest degradation loss would be with the lowest Sky Noise, highest Declination and Moon at Perigee. Moon Perigee: When the Moon is at its closest Distance from the Earth. Moon Apogee: When the Moon is at its farthest Distance from the Earth. Sky Noise: This is the term to describe the background noise behind the Moon or Noise Temperature at and around the Moon. It is measured in degrees Kelvin. If the Moon is located at or near a high noise area such as the Milky Way or the Sun, then the Sky Noise would be high compared to the area in the sky which has the lowest Noise Temperature which is known as “Cold Sky “. 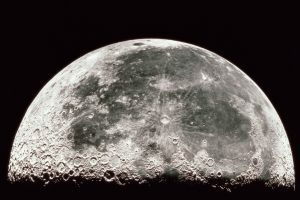 Elevation of the Moon: The term used to describe the height of the Moon at the observer’s location relative to the horizon. An elevation of 10 degrees would mean that the Moon at the observer’s location is 10 degrees above the horizon. 90 degrees elevation would be directly overhead. Phase of the Moon: The term used to describe the Illumination of the Moon by the Sun. A full Moon would mean that the entire disk of the Moon is illuminated at the observer’s location. A New Moon would mean that the moon’s disk is completely dark at the observers location. The Phase of the Moon DOES NOT have any effect on EME Propagation.